Friendly, informal play for under 5's. Tuesday from 10:00 to 12:00 and Thursday from 09:45 to 11:45. 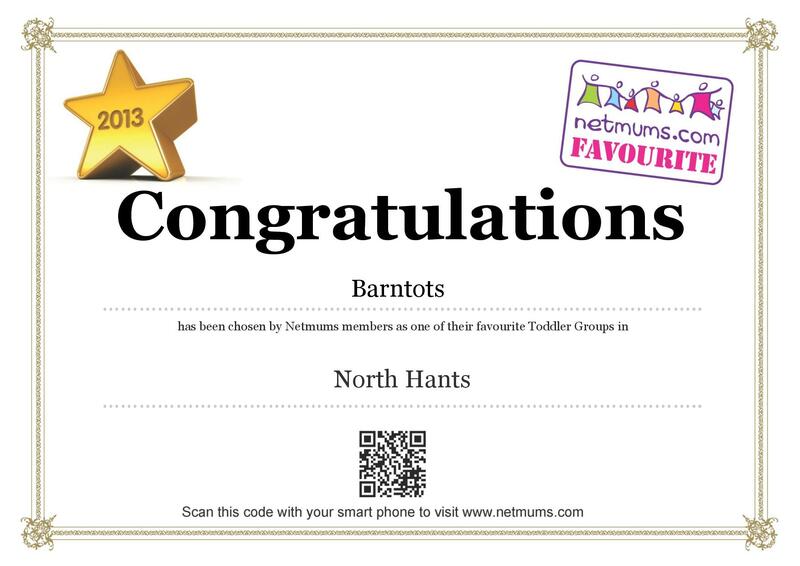 Barn Tots is a parent and toddler group for pre-school children. Hosted in The Barn, the group runs Tuesdays and Thursdays during term time only. We have lots of different toys each week but regularly we have a home corner, dolls and buggies, art and crafts, ride-on toys and table top toys for small fingers and big minds to explore. Also we have a great soft play area for babies. Each week we have singing, and story time. We also have music and movement for all ages to join in with - mums and dads too! Only £2 for an adult and child (50p per person thereafter), includes refreshments for adults and a cold drink, fruit and biscuits for the children. Come and meet other families, everyone is welcome.